The Game Master Screen for The Goon™ RPG is a tri-fold, landscape style, hardboard GM’s screen that folds to the same dimensions as our books and comes with a complete adventure, The Great Bollaire Street Block Party! Now, don’t that sound like a swell time? Well, whaddya know? It’s the Great Bollaire Street Block Party! 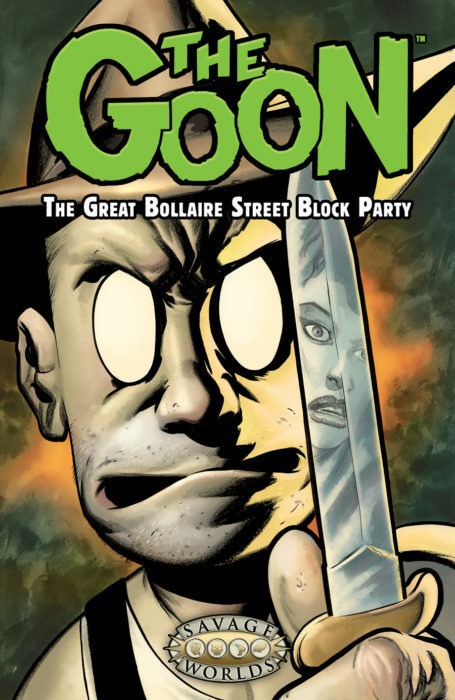 An entire city block filled with food, bawdy dancers, suds, kangaroo boxing, and a mob of carnival attractions so exciting they just about beat yer imagination to a pulp. Now what could be more fun that that? 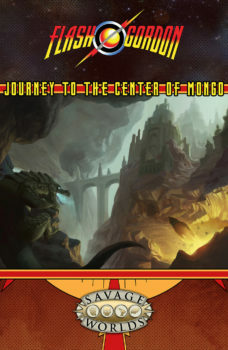 Thing is, nobody’s quite sure who organized this shindig, so it’s up to your crew to figure it out. Doing so ain’t gonna be a fiesta, slappy. … We’ll Have a Barrel of Blood! 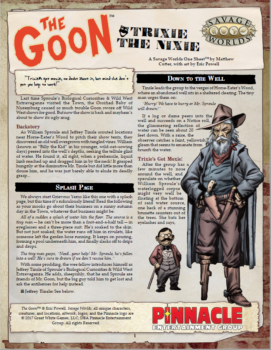 Join the Goon’s crime syndicate—or play as Goon, Franky, and the rest of their crew—and fight off the rival gangs what’s encroachin’ on your turf, while you collect on Goon’s debts and whatnot. You might also succeed at fighting off the tide of bleak suffering that’s set to consume yer soul. Then again you might not! 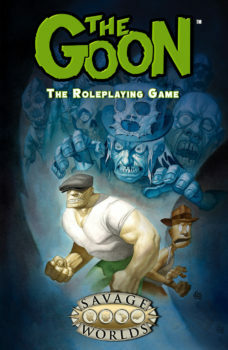 This game requires the Savage Worlds core rules and The Goon™ RPG to play.